Welcome to The Health Shop—It's a Lifestyle! Our mission at E-Spice Health is to provide radiant health and abundant energy with lightness & fun through conscious eating. We mentor, inspire, guide and motivate our clients to cultivate positive health choices. At E-Spice Health we give you the knowledge and insight you need about food, nutrition and your specific genetics to improve your lifestyle! We apply a functional nutrition approach to help you change the way you think about food. 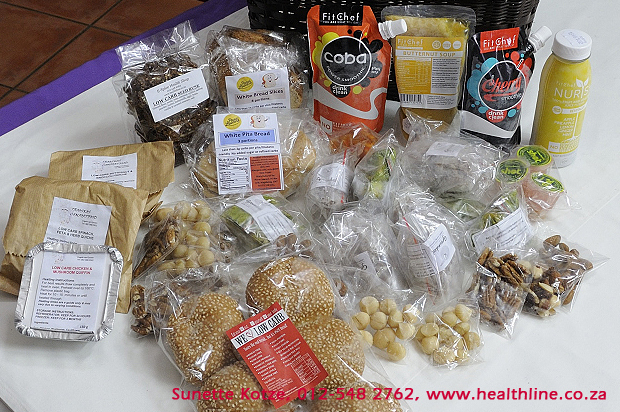 Our METABOLIC DETOX food pack works on an epigenetic level, changing your tastes, cravings, feelings and emotions around food. Through GENEWAY GENETIC TESTING and the interpretation thereof, we can equip you with an even deeper knowledge and insight into your health and how you can change your genetic expression! Remember it’s not how good or bad your genes are ... it’s how you live them! Don’t let your genes run your life. Let your life run your genes! INTEGRATIVE NUTRITIONAL HEALTHCARE AT ITS BEST! 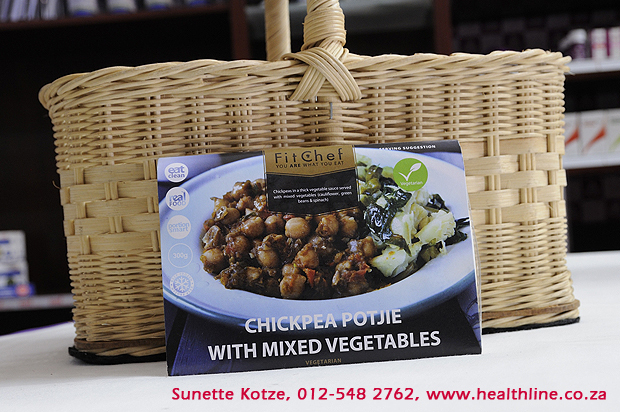 Healthy frozen chickpea potjie with mixed vegetables: Lovely vegetarian meal and popular detox dish. 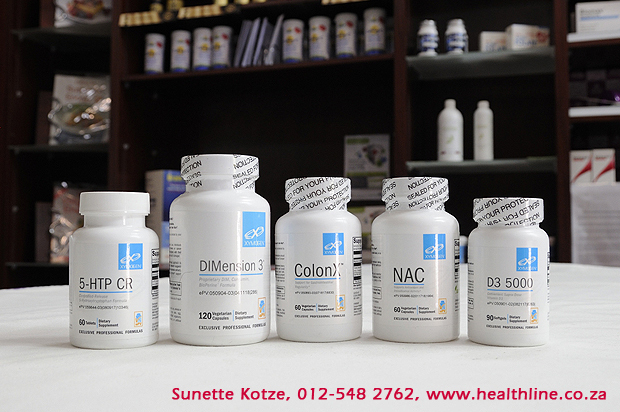 Xymogen supplements: Functional medicine professional range: 5HTP, DIMension3, Colon X, NAC and vit D3 5000IU. 8 day Low Carb food pack: Effective after the Metabolic Detox to spin weight loss even further! 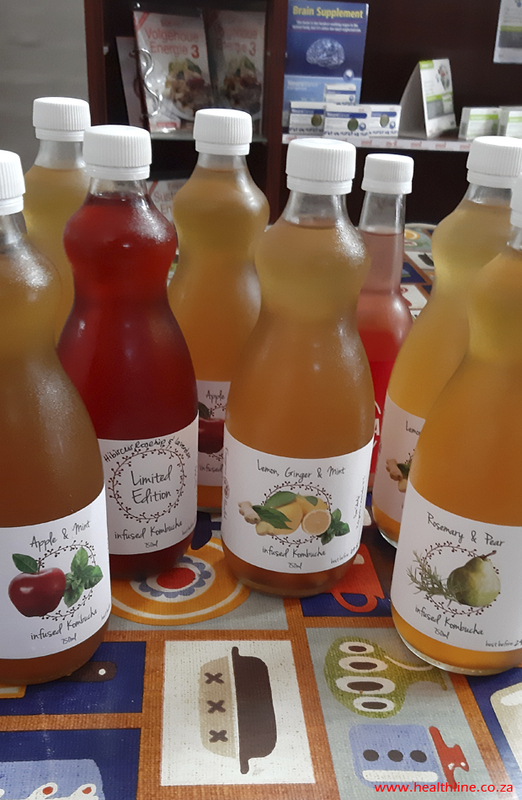 Kombucha drink: Lovely Probiotic social drink! Healthy plate technique: My preferred approach to healthy eating. 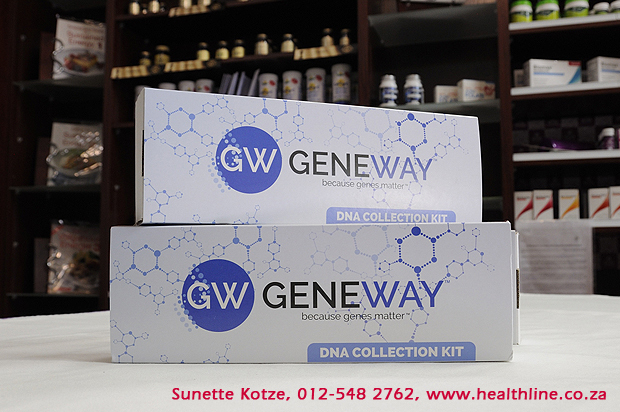 Geneway genetic test kit: Geneway cheek swab testing and counselling (120 SNP'S). An excellent nutrigenomic tool for optimising your health. 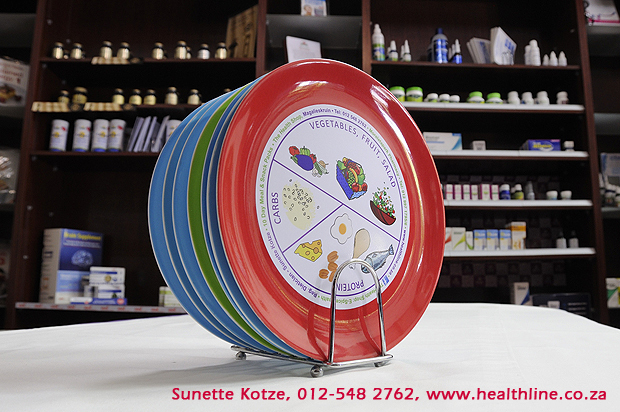 (C) - Sunette Kotze (Dietician) / wwww.healthline.co.za / E-Spice Health Shop / The Health Shop. Address: The Health Shop. De Oude Muragie Centre, C/O Braam Pretorius & Veronica, Magalieskruin. Tel: 012 548 2762 / 083 251 2904. Address (Tuesdays Only): 680 Rubenstein Drive, Moreletapark Pharmacy. Tel: 012 997 1795/6; 082 748 9947.